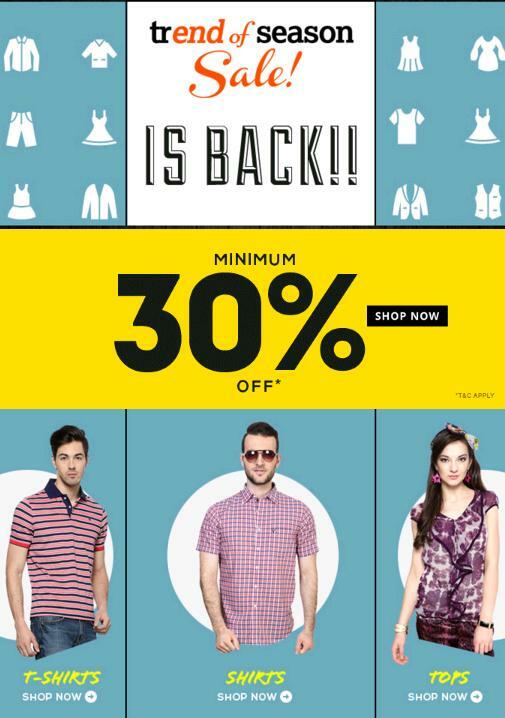 Brand Lovers can fetch their favorite brand stuff at Trend of Season sale offered by Trendin.com where you can get your clothing, footwears, accessories of your favorite brands like Peter England, Van Huesen, Allen Solly, Louis Philippe, Akkriti and many more starting at just Rs.180. So shop now to save more and more to get branded stuff at reasonable prices only at Trendin.com. Don't miss the chance as this Trend of Season Sale is for limited period only. Register / Login with Trendin. You cannot compromise with brand but at least save a little with Trend of Season sale only at Trendin.com!! !